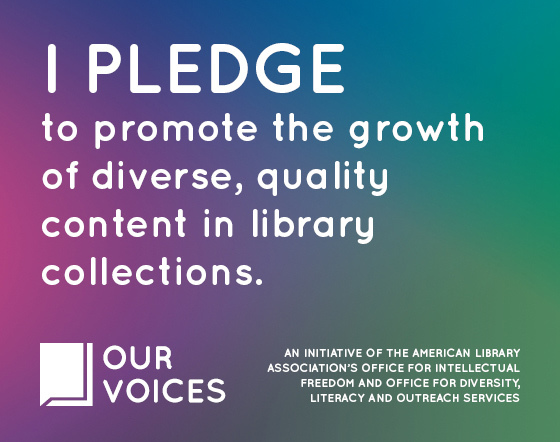 At a recent regional early literacy workshop, a few of us we’re tossing around the idea of starting a “1,000 Books Before Kindergarten” program at our individual libraries. There so many librarians out there who have successfully adopted the idea that it seemed like a no-brainer. More reading = higher literacy rates. As we talked though, I decided not to do the program. We couldn’t get away from the idea that numbers can be intimidating, especially for families that aren’t regular storytime attendees or adults that are not confident readers themselves. We were also a bit intimidated by the numbers. By that I mean we were worried about committing to more record keeping since many of us work in libraries with few staff. We agreed that we ultimately wanted the focus to be on the story experience not the number of stories. So I came up with this as an alternative that works for our library. Have any thoughts about the design? Let me know! Oh well done you! I love your approach and look forward to more in the series! 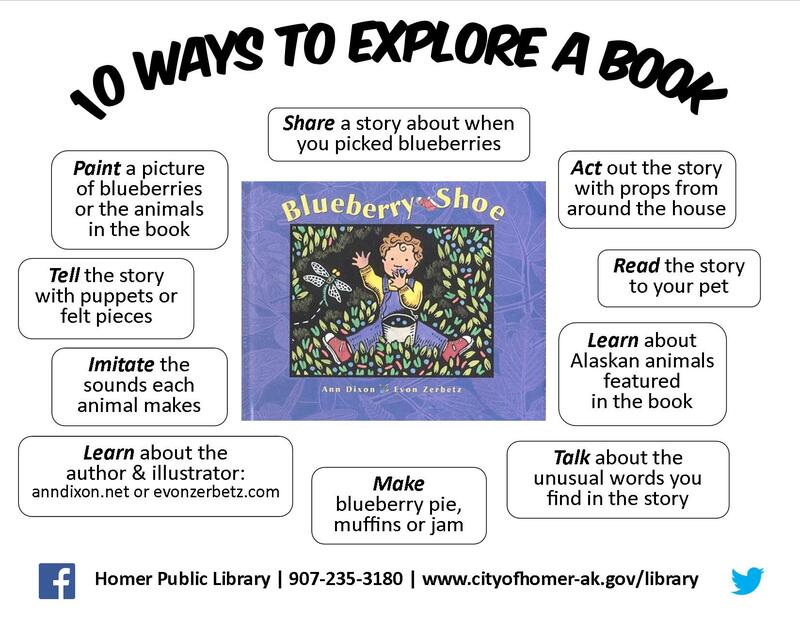 A really cool early literacy idea from Homer, Alaska. Love the poster as a great call to action/experience. Yes! I am keeping this in mind for Summer Reading– what a great activity to encourage families to do in the summer. I hope you’ll post more of your 10 ways and books! I will post more between now and SRP time! I’m planning to include at least one nonfiction title in the mix. Great idea, perhaps adding a kit with finger puppets for the animals if money allows. That’s an interesting way to make the poster a kit. I’ve also thought of creating felt pieces to go along with the posters- either of offering templates for families to make at home or sharing the felt versions of the stories in storytime.